The European political landscape is undergoing a tremendous transformation as far as the defense industry is concerned, not only in the case of the UK after Brexit, but also at European level as we have seen with the recent Permanent Structured Cooperation (PESCO). A month ago, the Council of the EU launched the European Defense Union, signed by 23 countries of the Union around a nucleus called ‘Permanent Cooperation Structure’, which constitutes the first pillar of a Europe of Defense, similar to the one that General De Gaulle had proposed some time ago as an alternative to NATO that had always been torpedoed by the United States and Great Britain. The European defense industry makes an important contribution to the security and defense of European citizens. The sector includes a variety of industrial fields such as aeronautics, land and naval systems, and electronics. The key objective of the defense policy of the European Commission is to develop a competitive and innovative European Defense Technological and Industrial Base (EDTIB). An EDTIB is important for an effective Common Security and Defense Policy (PCSD) of the EU. 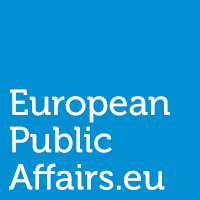 This policy is designed to provide the EU with the capacity for autonomous action in responding to international crises, without prejudice to NATO actions.The European Commission proposed at the end of November 2016 the creation of a European Defense Fund and other measures to help make Member States’ expenditure more efficient in joint defense capabilities, strengthen the security of European citizens and foster a foundation competitive and innovative industrial. Security in Europe, given terrorist attacks in recent years, must be examined when within a year, in March 2019, the United Kingdom leaves the European Union. The British Prime Minister, Theresa May, recently defended a post-Brexit security agreement between her country and the EU effective in 2019 at the Munich Security Conference (MSC). The proposal was received with appreciation by the president of the European Commission, Jean-Claude Juncker. But also with caution: Juncker warned that the negotiations of exit of United Kingdom with conversations on a possible treaty of security should not be mixed. In her speech at the Munich conference, Theresa May said that these are very difficult times and therefore we should not let our cooperation to be inhibited, or the security of our citizens, in spite of the competition between partners, rigid institutional constraints, or deep-seated ideologies. The forum brought together in its 54th edition held in the Bavarian capital a score of Heads of State and Government as well as about 50 foreign and defense ministers. There are also fifty directors of large companies that attended. May assured the audience that the UK will be as committed to the security of Europe in the future as it has been in the past. May sent a letter to Brussels on March 29, 2017 to notify her desire to leave the EU in compliance with the referendum of the previous year. Europe must not let “rigid institutional restrictions” on working with a non-member state or “deep-seated ideology” to undermine existing cooperation. In Munich, the president of the European Commission, Jean-Claude Juncker, took the stand after May’s speech, and agreed, but with reservations. “I think that since we are not at war with the United Kingdom and do not want to take revenge on the United Kingdom for what its people have decided, the security alliance between the United Kingdom and the EU will be maintained and we need it”. Juncker then warned that this future relationship should certainly not be mixed with other matters relating to Brexit. Theresa May recalled that once the separation is done and effective, the UK will not be subject to the EU Court of Justice, one of the reasons why many Britons wanted to leave the European club. But May argued that this does not have to hinder the extradition of terrorists or the exchange of data through Europol, although he did not clarify how this collaboration could work from the legal point of view. At the most recent MSC has emphasised the debate on defense spending of the NATO member countries. The Polish Prime Minister, Mateusz Morawiecki, was especially combative in calling on European countries to spend more in the area of defense. Poland is one of the five NATO countries, the Atlantic Alliance has 29 members that allocate the recommended percentage of 2% of GDP to defense. Morawiecki protested that it is difficult to speak of common European defense when most countries do not meet that percentage. And he concluded that given the attitude of Russia in Ukraine in recent years, Europe needs more steel tanks and not just think tanks. For the first time in 54 years, Germany received in Munich the leaders and experts in security and defense with a government in office. Despite this situation of interim, or perhaps precisely because of it, the German Foreign Minister Sigmar Gabriel was allowed to propose that the sanctions on Russia be softened by the crisis in the east of Ukraine because it is unrealistic to insist Putin in compliance with Minsk peace rights without first offering relief to sanctions. At the conference, as in previous editions, Ukrainian President Petro Poroshenko and Russian Foreign Minister Serguei Lavrov participated. Outside the program, a meeting was planned on the crisis in Ukraine on Friday night with the format known as Normandy, ie with representations of Germany, France, Russia and Ukraine. But this was not celebrated because Gabriel flew back to Berlin due to the liberation of the Turkish-German journalist Deniz Yucel after a year imprisoned in an Istanbul prison accused of terrorist propaganda. NextMacron – a call to active citizenship? Althay is a multidisciplinary Translation and Interpreting graduate (English/ Swedish/ Danish/ French/German) and Public Affairs Consultant with experience in both public and private sectors at EU level. He particularly enjoys working in language-related projects in companies with a strong international focus always aimed at delivering quality and precise work. Althay's fields of expertise are: Lobbying and Public Affairs, Public Administration, EU Legislation, Project Management, Email Marketing, Coordination of EU networks of stakeholders, & Internal Communication.